Sequels can be brilliant things, taking what's great about the original and running with it. We're sure you can think of loads of examples: The Godfather Part 2, The Empire Strikes Back, Santa Buddies... okay, maybe not Santa Buddies. This week it's the tech industry's turn to catch a does of sequelitis - but which products are Toy Story 2 and which ones have taken a great idea and added Jar Jar Binks? The Asus Transformer Prime is definitely in the good-sequel category, and not just because it's nicked its name from the famous robotic bash-em-up. The world's first quad-core Android tablet rocks Nvidia's Tegra 3, and we think it's outstanding. The new processor came in for particular praise: it's "fast and nimble, pumping new life into apps we've used for the past nine months and speeding up the operating system overall". It's not the best tablet in the world - "the iPad 2 still has that honour" - but it's definitely up there along with another sequel, Samsung's Galaxy Tab 10.1. 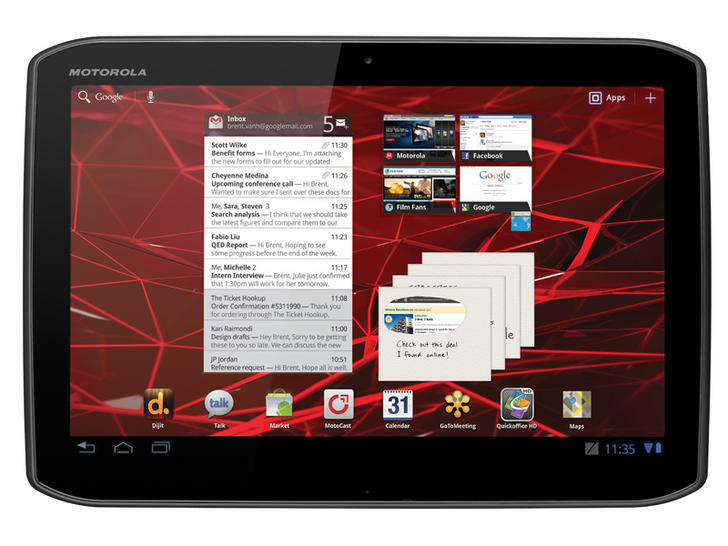 Our list of the best Android tablets gets more impressive by the day, so where does the Motorola Xoom 2 fit in? If you guessed "number six" you'd be right, because as we discovered in our in-depth review, we have a few concerns. There are some build quality issues, such as "the way the Xoom 2 rattles when the loudspeaker is high", and the screen is "a horrendous fingerprint/grease magnet". The keyboard "is a weak spot", and "the lack of a microSD card is perplexing". Remember we're talking about a premium device with a premium price here, and on that basis it's "an improvement over the original Xoom, but not over the competition". In cameras this week, we've seen the Canon EOS-1DX. It's the firm's latest flagship, replacing both the 1D mk IV and the 1DS mk III. Is it any cop? Angela Nicholson reckons it's "fast and furious" and "a truly fantastic camera", but there are "fundamental questions about the concept [for] existing EOS-1 series users". Jeff Morgan agrees, arguing that restricted autofocus "cannot be considered an advantage to any photographer" and that "nature and some sports photographers are not feeling Canon's love with the announcement of the 1DX". Canon isn't the only firm showing off shiny new snappers: Panasonic's got a new Lumix too, the Lumix DMC-GX1. Josie Reavely reckons it's "an exciting new direction for Panasonic" and "a premium option that advanced enthusiasts should definitely consider". We haven't just seen sequels to familiar kit: we're seeing sequels to familiar components, too. Just when you thought the world could manage without yet another memory card format, the CompactFlash Association has announced yet another memory card format. XQD is slightly bigger than an SD card and offers very fast write speeds - 125MB/sec or higher - but it's a different size from existing SD and CF cards. Nikon and Canon are both on board, and the Association intends to begin licensing the technology to card manufacturers in early 2012. "Now, when you visit TechRadar from a mobile device you will be transported to a brilliant new mobile-optimised version of the site... If you are reading this on a mobile, then you should already be browsing the new mobile-friendly version of the site. This paragraph is of no use to you... un-read it now."